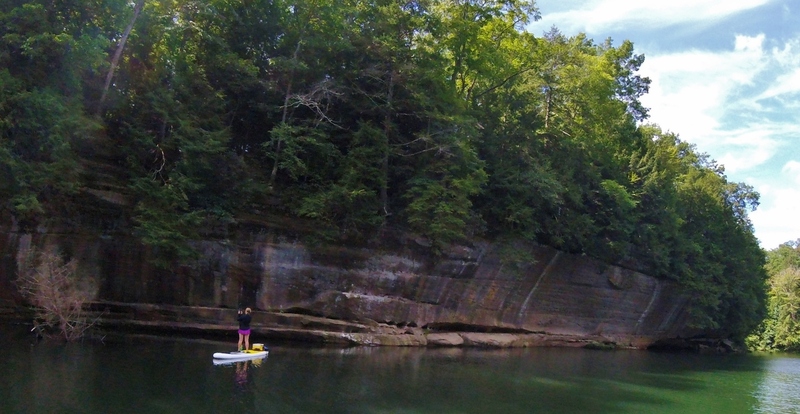 Our KY home is filled with fantastic places to explore by SUP or Stand Up Paddling. in the meanwhile enjoy the photos and let us know if you’d like to visit any of these amazing places! SUP Kentucky paddle all year! This is a short video of our time in Mexico. 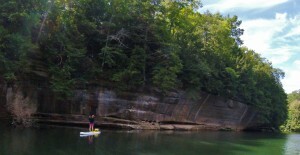 We at SUP Kentucky believe that its necessary to paddle all year long. 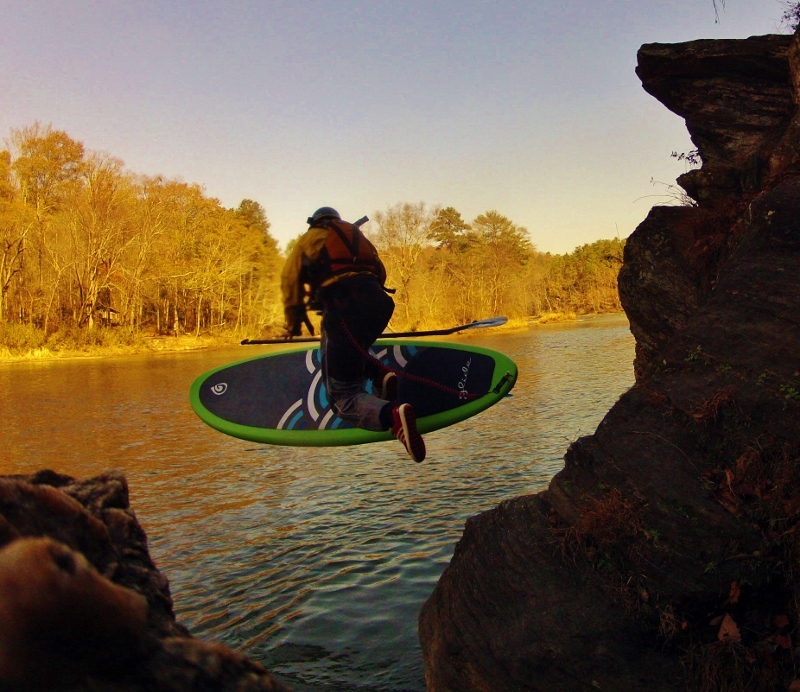 We strive to stay on top of the SUP world by competing and running hard rapids. All of this experience transfers to our student through Knowledge and FUN! In my relentless search for places to escape the cold, I found Mexico! 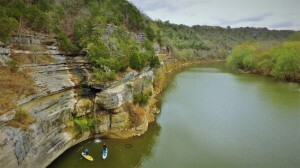 A refuge from the polar vortexes of the U.S. and also a paddlers paradise. 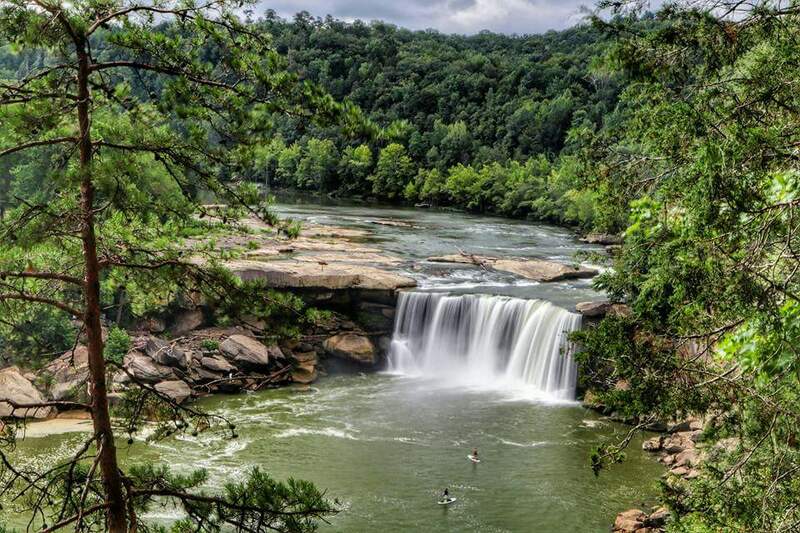 There is so much diversity of whitewater that you need multiple river craft to enjoy it all! The headwaters of the Santa Maria River lie in the semi desert region between the states of Queretaro and San Luis Potosi. 150 miles from the gulf of Mexico where it finally meets the salt water. Santa Maria has no Dams and all 150 miles are excellent runnable whitewater. 5 Canyons, miles of big water class 4-5 and a 315 foot waterfall from the Rio Gallinas make this a multi-day paddlers dream! 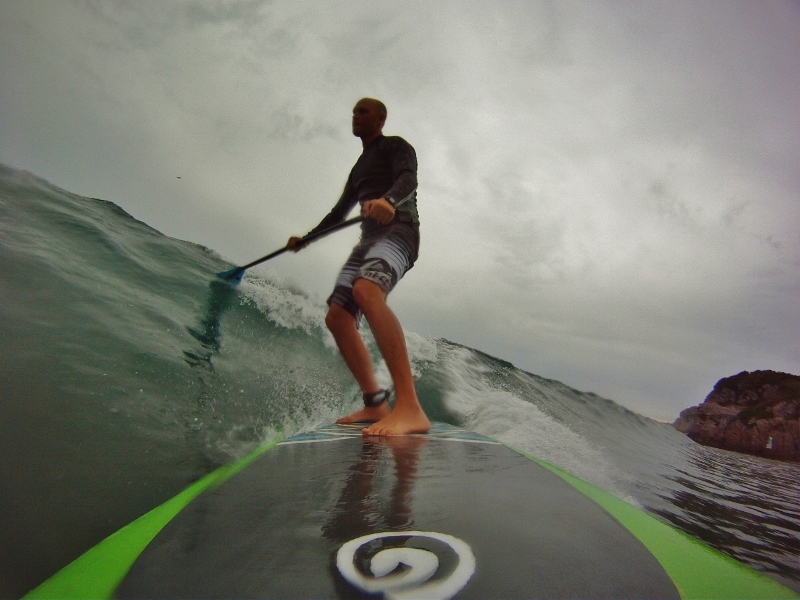 We recently did the most upper stretch of Santa Maria on SUP boards. Its a 12 mile scenic canyon float with one class 4 rapid. Our plan was to put on in the afternoon and camp beside the class-4. Put ins in Mexico are sometimes an adventure in itself. This particular part of the river is a favorite watering hole for local cattle! Heather and I used the Czar 6 and Baron 6 SUPs. The extra flotation comes in handy when carrying camping gear and food. I carried mosquito net, hammock, rain fly, jet boil stove and K-pump. Heather took the extra clothes, water filter and head lamps. First day of paddling was a little more than an hour. We found a nice spot on an island just beside the portage. One of the amazing things about inflatable paddleboards is how comfortable they are to sleep on. Let out half the air and you have a huge therma-rest bed. The Baron 6 sleeps two people if they are friendly! We decided to avoid any bug encounters in the night, so i strung our hammock loosely over the Baron 6. This hammock has mosquito netting built in and also comes with a nice rain-fly. it looked like rain so we used the fly as well. After a good night sleep, re-inflate the board, take a nice river shower and we launched for the next 8.5 miles of class 2. There are huge Sabino trees over 500 years old, a portion of the old Spanish silver train runs along the river right side. ​ The Sabino tree has one of the most impressive root sytems I have ever seen. these old trees actually from the river back, their roots intertwine and become an unbreakable shoreline, incredible erosion protection! As we moved farther into the canyon the riverbed starts to become very sandy. It makes for nice soft fall if you’re just beginning to learn SUP. There are numerous springs that enter the river as waterfalls on river left. I counted at least 5 and all were quite a bit warmer than the actual river water. As you can imagine they are also full of incredible vegetation. This section of the Santa Maria passes through the historic town of Conca, Queretaro. A Franciscan mision was built here in the 1700′s. There are 4 more, nearly identical throughout the region. At one point the river banks to the right and you can turn and see the Mision. Its just visible in front of Heather above the first row of trees. If you are looking for new ways to enjoy and explore using a paddle board, I highly recommend the over night trip. SUPs are a true SUV of paddle sports. With the right board and dry equipment the experience is stress free and much easier than I ever thought possible. Its your own personal watercraft and bed rolled into one. Make sure the run isn’t too difficult because the weight of your gear does affect how the board handles. I found that by moving back towards the tail balances things out and makes for a great workout too! ​ I know its cold in the states right now, so roll up those boards, grab some friends and head down to Mexico and see us. Water temps are in the 70′s and there are plenty of enchiladas for everyone. 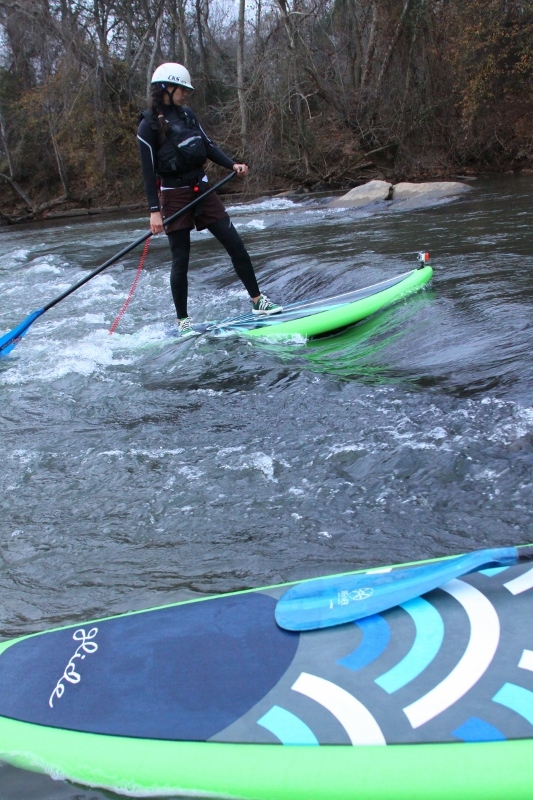 Cruising the river with Glide SUP! I’ve seen a lot of SUP products over the last few years, some good, some bad. Recently I had the chance to paddle some Glide SUP boards, traditional surfboard design with a bombproof GSS coating. My Glide boards have fallen from the roof rack to the cement, t-boned other surfboards in the ocean and been ridden across thousands of rocks without any damage. If you are looking for a lightweight board with durability for the river, Glide has the perfect ride. Board sizes range from 12 foot 6 inches to the 7 foot long Sesh, all have the GSS and are river surfing machines. One of my personal favorites is the 9 foot Mongo. This board is stable enough for the river, and loose on the ocean. 360′s and awesome nose rides are waiting if you can just find some swell! 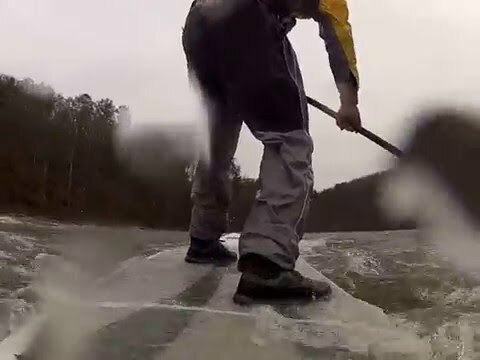 I spend a lot of time on inflatable SUP’s because they are durable enough for the river, however inflatables will NEVER surf as well as a rigid board. Glide gives you a legitimate surfing board without the flex of inflatable and a ding-proof skin! I hear rumors that Glide SUP will have a river running board that surfs and crushes rapids for 2013. Stay tuned for more reports on this board when it becomes available, in the meantime check out the crew at WWW.GLIDESUP.COM made in the U.S.A and some of the best boards you can find! 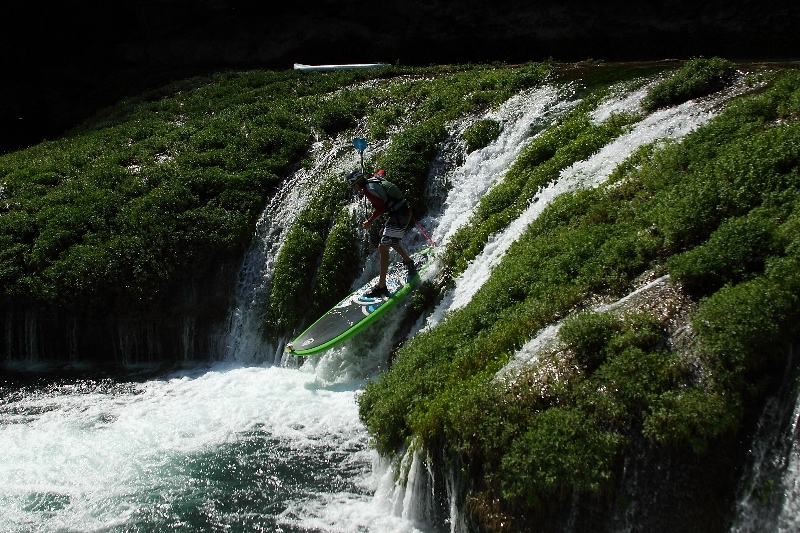 Waterfall and Whitewater SUP in Mexico! We’ve been making the rounds here in Mexico this year. Water levels are on the low side so we have been using the SUP,s a lot this year. After the Alseseca Race we went to the Rio Filobobos then down to Rio Actopan…and later everybodies favorite whitewater paradise Rio Micos. The New Astral Brewer river shoes. Made for SUP. 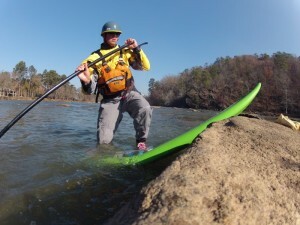 This blog is from a SUP stand point. SUP is much more footwear intensive than kayaking. When we find something good..we get very excited! I’ve been using the Czar for about 2 months now, and I have to say, this board is FUN. I can’t wait for the production models to hit the scene. The 2013 line up from NRS is going to be great for beginner through advanced. Check out the video below. It shows the stability and user friendliness of the Czar better than I can. NRS Big Earl Stand Up Board Review. The Big Earl is a great inflatable board! It has everything you need in an inflatable. We took our SUPs to the Little TN river. It was a medium flow with plenty of technical class 2 rapids. Lake levels were down so we were able to paddle the narrows which added 3 more class 2+ rapids. I removed the skegs knowing that the river was shallow. The Big Earl handles just fine without the fins. It turns well, grabs eddies and you don’t have the fear of getting superman’ed off the board in the shallows. I was able to strap my Watershed drybag to the front tiedowns and there were no problems. This board was designed to haul your gear. It is wide and stable allowing you to take gear and not lose stability. I love the weight of inflatable SUP’s! At 29 lbs you can take this board anywhere. I filled the board to 15psi and it was perfect for warm water and a 60 degree day. That was 2 weeks ago and the board is still inflated. It hasn’t lost any pressure. 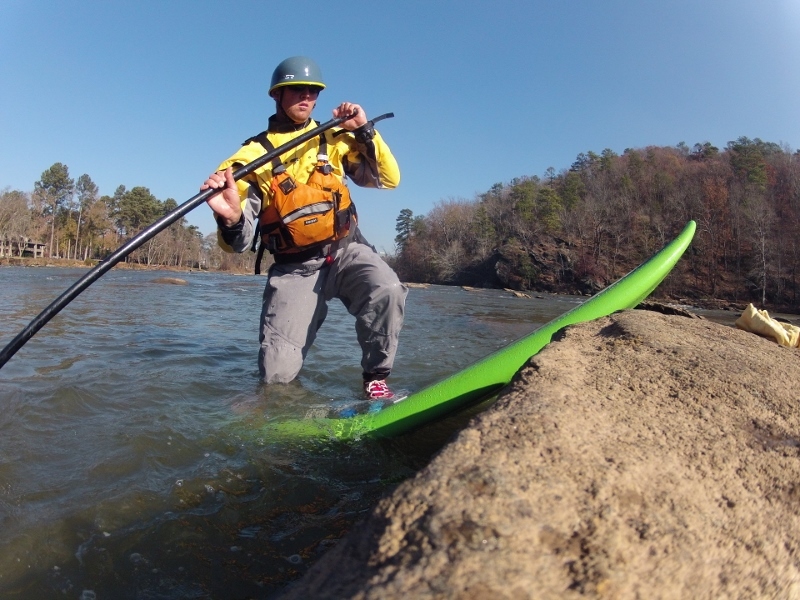 If you are looking for an economical and rugged inflatable SUP, look no further. This board from NRS will do the trick. I haven’t tried it on anything above class 3, but I’m looking forward to paddling it down some great rivers in Mexico this year. Have a great winter everyone! 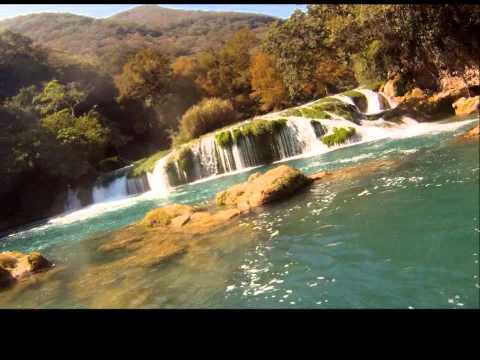 Site Admin | Free WordPress ThemeKayak Huasteca Copyright © 2019 All Rights Reserved.